Visitors can have their fifteen seconds of fame at this historic venue! You can stand in front of a microphone, take in the Hall from a vantage point usually seen only by performers, and let the professional photographer take a souvenir photograph free of charge. Visitors can also view documents and artifacts from nearly 125 years of history while visiting Centuries bar, located on the lower level. 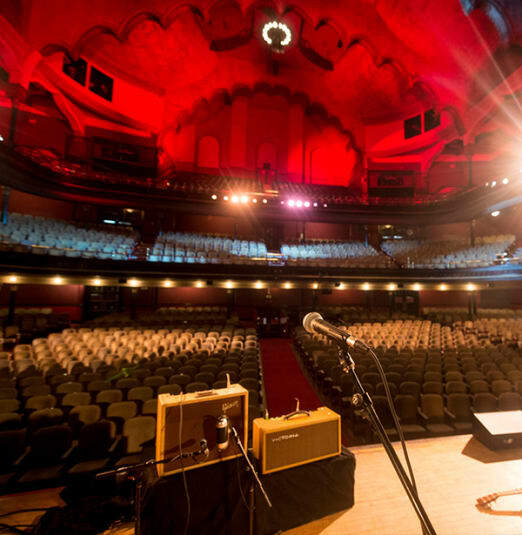 Stream your personal guided audio tour and get the most out of your Doors Open Massey Hall experience via the Soundcloud post below! In honour of Canada's 150th birthday, 150 buildings across Toronto open their doors on Saturday, May 27 and Sunday, May 28. Hours vary by building and are available here. The curatorial theme Fifteen Decades of Canadian Architecture shines light on the evolution of Canadian architecture, with a special focus on Centennial-period buildings and architects from the 1960s.